As we wind down from Thanksgiving one thing is certain, we need to add a few salads into the mix this week to compensate for all the good we consumed over the holiday! 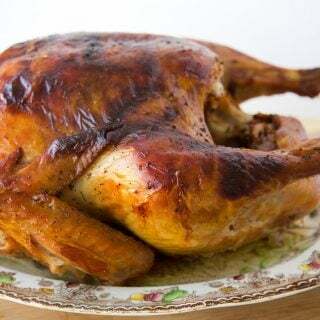 If you still have turkey and aren’t quite sure what to do with it, here are a few ideas for you! 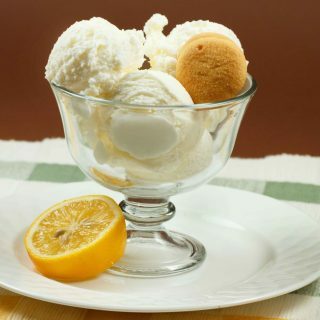 But the leftovers can wait, let’s start with dessert!! 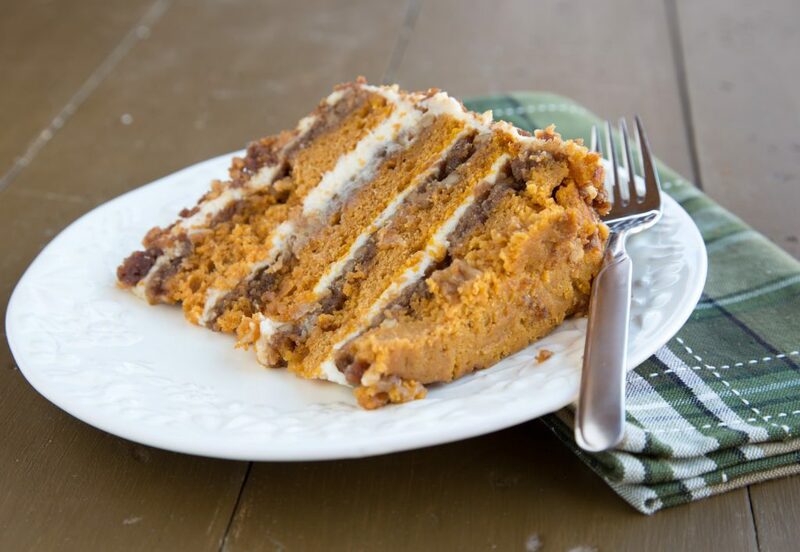 If you haven’t seen my Pumpkin Crunch Cake before, it is an exceptional dessert. 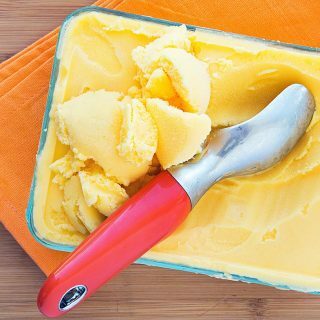 Not only is it a staggering 4 layers high, but the flavors are simply amazing! 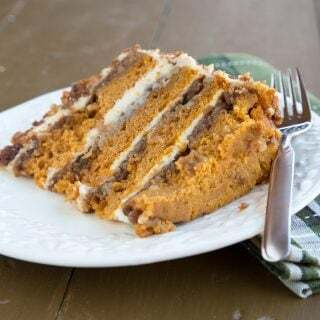 Follow this link for the recipe to my Pumpkin Crunch Cake. You can even watch the You Tube video I did as part of Google+ Thanksgiving Presentation! Just follow this link for my pumpkin crunch cake video. 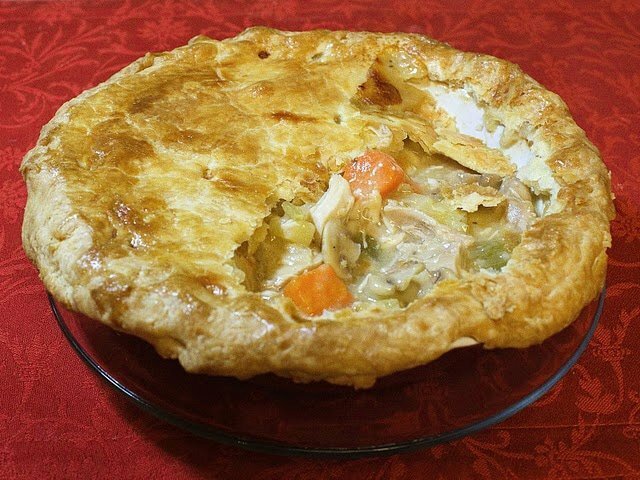 But if desserts not your thing and your more of a meat and potatoes kind of person, how about a Turkey Pot Pie. 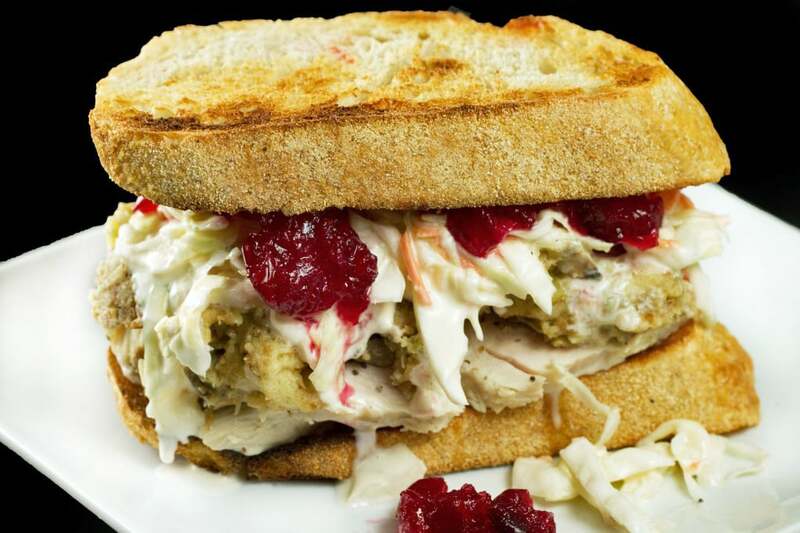 Or if you want something quick and easy and full of Thanksgiving leftovers my version of a classic Delaware Sandwich the Turkey Bobbie is sure to please. 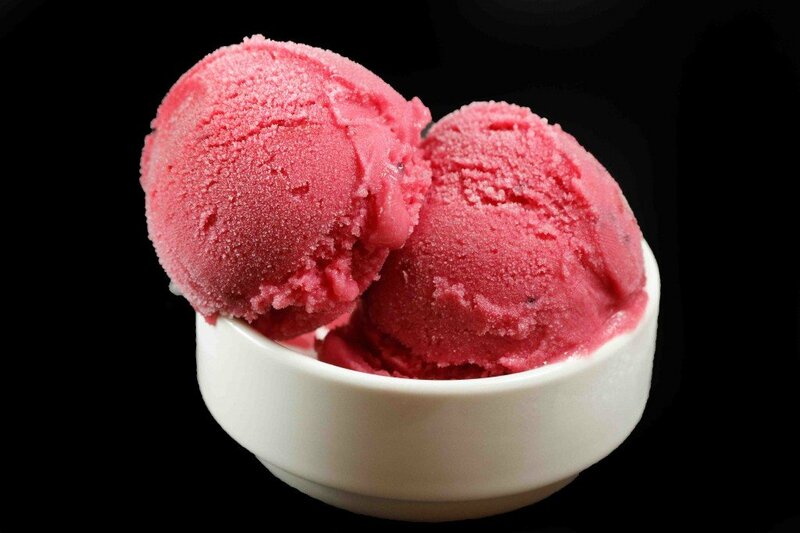 and last but not least how about a creamy gelato using up your leftover cranberry sauce, you’ll love my Cranberry Gelato! After four days of being under the weather I’m finally starting to feel better, and of course just in time to go to work….sigh. But hey that’s ok, I’m happy to feel better and to have a job to go to, things could always be worse! Hi Dennis! I have made your amazing pumpkin crunch cake before and absolutelylove it! This year I was thinking of trying it out it cupcake form. Crunch on the bottom, cake, frosting, and crunch for garnish. My only question is this: will the.crunch stick to paper cupcake lining? Is there a better way, do you think? Thanks Dennis! There are so many wonderful things to do with turkey. Thanks for sharing a few with us. Such a great roundup, Dennis! And I’m just dying to try that pumpkin crunch cake! That crunch cake still amazes me! Everything looks scrumptious. I love Thanksgiving day… what is not to love about a day of eating? 🙂 I carry on with the tradition wherever I am… sorry it’s late, but hope you had a great Thanksgiving day. i especially appreciate the cranberry sauce recommendation! i love that stuff but i never know WHAT to do with it once the turkey’s gone! The pumpkin cake looks insane, but I wish I had that turkey-cran sammie in my tummy right now! Hope your Thanksgiving was delicious . . . I KNOW it was! Glad you’re starting to feel better chef! Turkey Bobbie looks scrumptious, only problem is I didn’t do a turkey this year. In fact it wasn’t a traditional dinner at my house at all. We made pasta with the relatives- everyone pitched it and had fun. It’s one for my file, as is your pumpkin crunch cake! You have me HUNGRY! And I missed Thanksgiving this year 🙁 due to everyone here being sick. No leftovers. Boo! They all look good and while I’m not a big dessert person, that cake looks to die for. Sorry you had to spend most of your Thanksgiving vacation feeling less than your best, Dennis, but I’m glad to hear you recovered! Have a better week and thanks for putting thankfulness in perspective. That turkey bobbie has my name on it, I’m afraid. It’s been nice taking a break from cooking for a few days but it’s time to change it up! I hope you had a good holiday my friend! Your layer cake is gorgeous! Glad to hear you’re feeling better Chef – this looks unbelievably decadent, such a special dessert for the holidays. 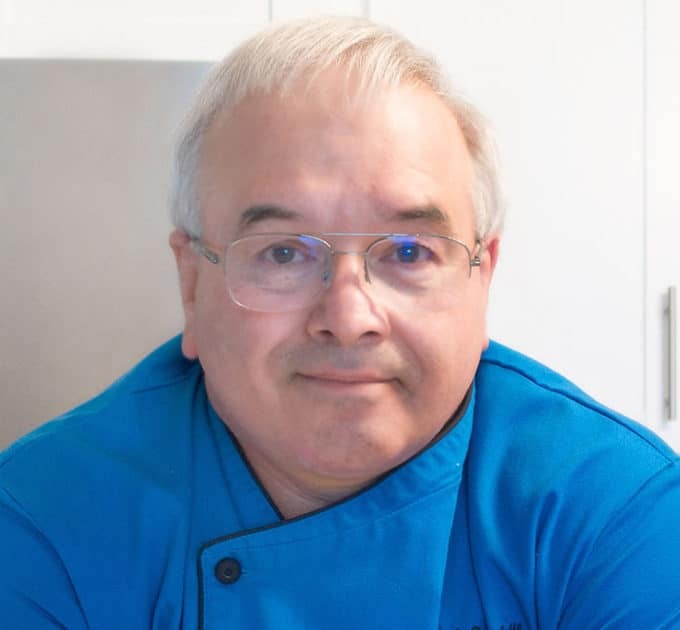 Google+ Hangouts are such a fun way to demonstrate cooking/baking – I missed the live event, but enjoyed watching the video! Hi Dennis, I saw the pumpkin layer cake on Pinterest and had to come check it out. 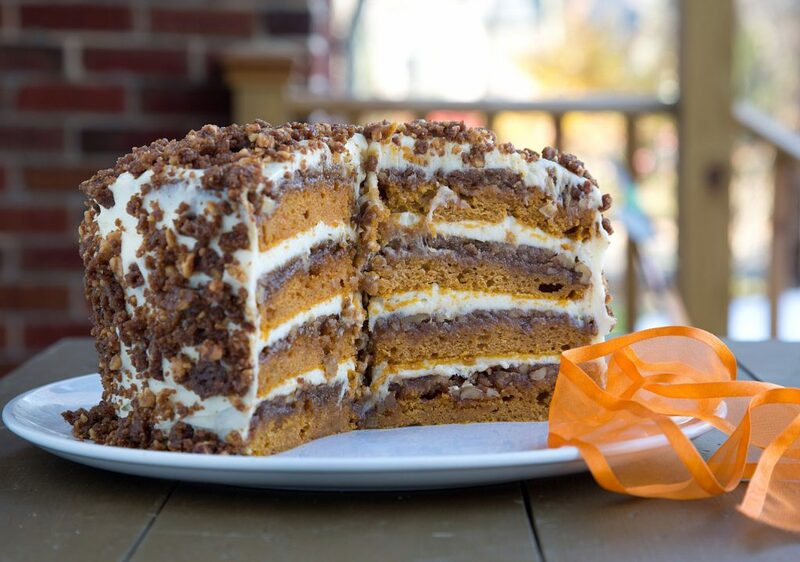 It is GORGEOUS and I have a pumpkin in my pantry that may just morph into this cake…. Btw, that turkey pot pie is making my mouth twitch like crazy! Glad to read you’re better now 🙂 Off to Youtube to get that recipe. Stay well!